Today's entry, provided by Cal Evans, is entitled Five Resources Every PHP Developer Should Know About. 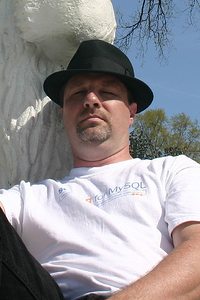 Cal Evans is currently the Editor-in-Chief of the Zend Developer Zone; for the previous 7 years, he worked with cool LAMP projects and teams. Before that, he just sat around wishing for something like LAMP to come along, so he could build cool projects. Everybody pretty much knows about the major resources available to the PHP community. Web sites like PHPDeveloper.org, Planet PHP, Zend Developer Zone, and alphaWorks make news, blogs, and good tutorials easy to come by. However, there are several good resources that aren't as widely publicized. PHPWomen.org's mission is to encourage women programmers to get involved with PHP. They do not exclude men; rather, they encourage women. They post good tutorials, have excellent write-ups on the various conferences for PHP developers, and have an active forum. From the creator of Javalobby.org, Rick Ross, comes DZone, "fresh links for developers." Basically, DZone is Digg, but exclusively for developers. Rick strives to keep DZone language agnostic and even reaches out to the PHP community to make sure that we are well represented. If you really want to know what is going on in PHP, you want to monitor the internals list. This list can have a high signal-to-noise ratio, and you may be more comfortable monitoring it via Steph Fox's excellent, if often late, weekly summaries. Stefan Mischook has created a web site that delivers on its name's promise. If you are just getting started, his tutorial videos are a great place to start. If you are an old-hand at PHP, then his blog is one you won't want to miss. The PHP community has a lot of interesting podcasts and video casts. The problem is that if you don't know where to look, they can be hard to find. PHPPodcasts.com is a resource locater. It's not designed for you to subscribe to, but rather to visit occasionally to see what's new and available.